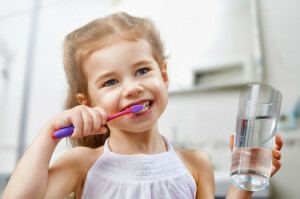 When it comes to pediatric dental care, the goal is always to help find easy ways to create habits that will bring children a lifetime of good oral health. Indeed, instructing kids on good brushing habits can be a challenge, but with the right support in your corner it can be a breeze. Youngsters in the process of learning about daily routines and hygiene always need a little prodding to stay on top of good habits – heck, most adults do, too! As parents, it is our responsibility to assist them in transitioning from completely dependent entities into capable, confident little adults. Want a bit of culture shock? Take a glance at high school yearbooks from the ‘50s or ‘60s and you’ll notice more than a few smiles framed with unsightly metal braces. Now, gander at the faces adorning the pages of high school yearbooks of today and note the differences…don’t see many “brace-faces,” do you? 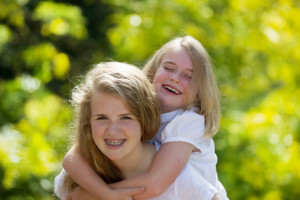 Children today tend to sit in a dentist’s chair and get braces at a much earlier age – in fact, some patients with specific orthodontic issues begin treatment at seven years old or even younger. The American Association of Orthodontics (AAO) routinely suggests that all children have an orthodontic screening by age seven, as permanent teeth generally begin to come in at age six or seven. 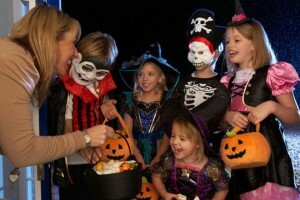 It is at this point dental professionals say that orthodontic problems begin to rear their ugly heads. Dental sealants are plastic coatings that are normally placed on the chewing – or “occlusal” – surface of the permanent back teeth (i.e. the molars and premolars) to help protect them from decay. The chewing surfaces of the molar and premolar teeth boast groves – or “fissures” – that make them vulnerable to decay. Indeed, you can think of sealants as barriers to prevent cavities because though brushing and flossing help remove food particles and plaque from smooth surfaces of the teeth, toothbrush bristles cannot extend to the depressions and grooves to extract this debris. Sealants protect these susceptible areas by “sealing off” plaque and food. Children should visit the dentist’s office at least every six months in most healthy cases. Whether they still have baby teeth or are growing permanents, the state of the teeth throughout each stage of development is one of the most important aspects of a child’s overall health. Regular checkups allow parents to stay informed on their child’s dental health while also maintaining or improving the state of the teeth. 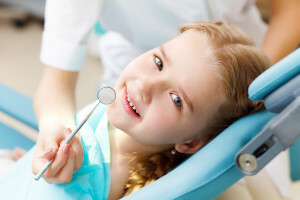 There are many benefits to taking a child in for regular pediatric dental checkups, and many of them last into adulthood. 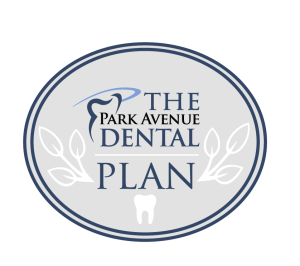 Those in search of an effective and compassionate pediatric dentist in Orange Park, FL should look no further than Park Avenue Dental.